I have yet another slightly screwed up parental confession to make to you guys… struth, it seems like I am just a constant stream of confessions about my somewhat questionable parenting skills doesn’t it?! I tell pork pies to my kids. Oh alright, that was a pretty lame effort. Let’s try again and add a little more of the truth to the mix. I tell my kids big fat whopping lies to get them to eat food that they would normally take one look at before launching into the old ‘I’m gonna puke’ routine. They are actors my boys, practically award worthy in the way they can carry on about trying new food. I figure that since it is OK for them to act and acting is all about pretending and pretending is pretty much lying then a little (or big) lie here or there from my end is simply me joining in the fun and nothing to call a judge over. So anyways, back to the pork pies… Carl and I love to eat soup for dinner in the colder months. There is just something so warming and virtuous about sitting down on a cold night to a bowl of steaming soup and crunchy bread. The kids needed a little more convincing to come around to the idea of eating liquids for dinner, because… you know kids… and with kids soup often equals ewwww. Throw into the equation that we are pretty much asking them to eat liquefied vegetables and cue the violins and make way for the award winning dinner table meltdowns. So I started lying about what sort of soup it is. Pumpkin soup became orange potato soup. Cauliflower soup became known as creamy cloud soup and pea soup became Ninja Turtle power punch. Small details really and you do what you got to do when it comes to parenting. Besides straying a little from the straight and narrow path never really hurt anyone… much. Except of course for that one time when our then four year old practically choked when he found a full on pea in his Ninja punch, but then the fact that he shoved that pea up his nose was probably more cause for concern than the over exaggerated choking part. 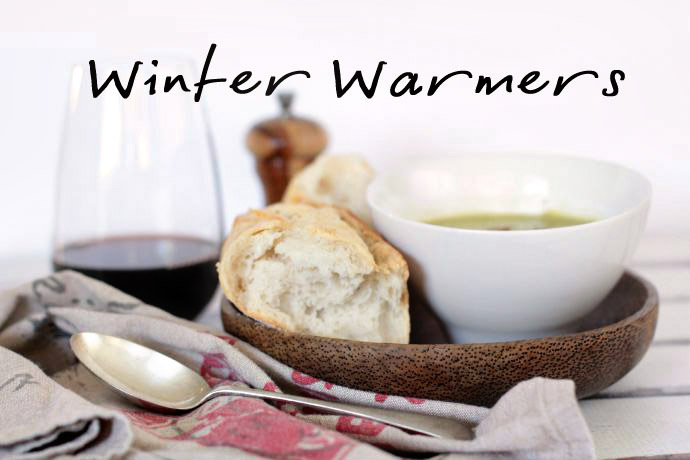 Thankfully we have progressed a little since that unfortunate incident and soup now features fairly regularly on the menu during winter… which I for one am happy about because it is the perfect winter warmer in my books. 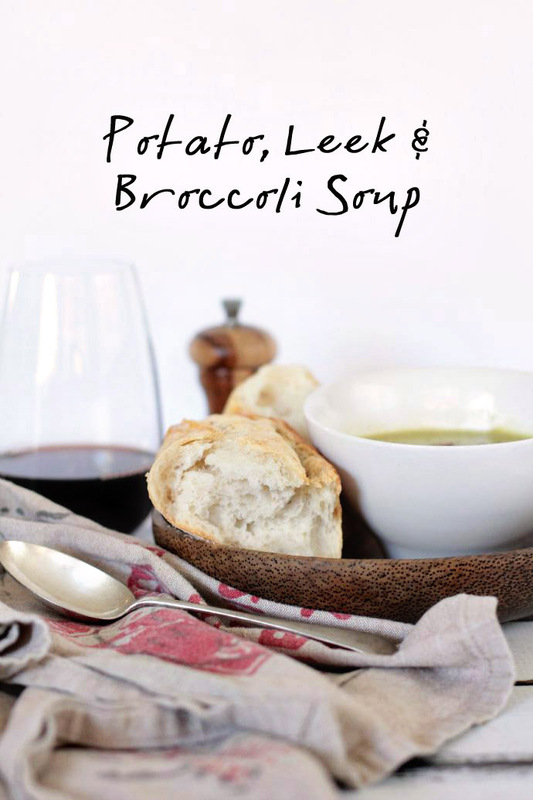 I was inspired to share one of my family’s favourite soup recipes with you guys because potatoes are such a perfect winter veg when it comes to feeding kids and they are a hero product in this month’s Coles magazine which you can pick up for free in store or download here. 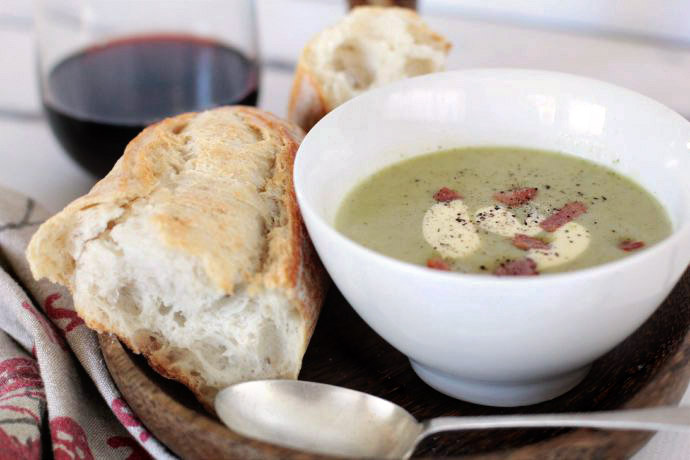 We call this soup ‘Le Pocolli’ soup when the kids and their big ears are around. 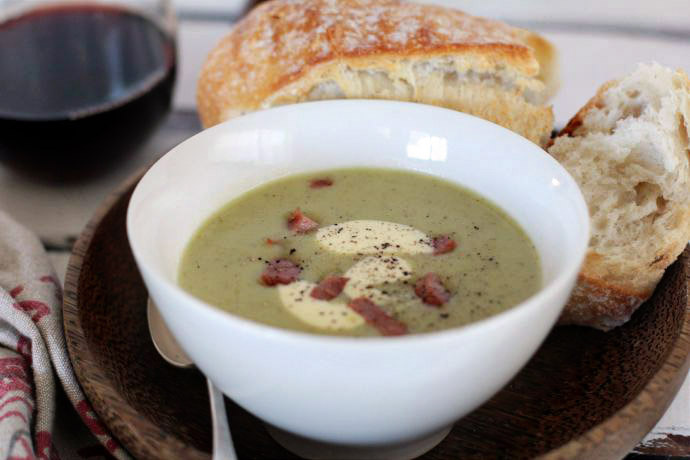 But between you me and the internets, it would be better known as Leek Potato and Broccoli soup. Thickened cream, pepper and sour dough to serve. And yes, you can buy all of these ingredients at the Coles Online store. Start by crisping your ham in a saucepan and then set aside. Melt your butter in the same saucepan you used for the ham, add your leeks and cook until soft. 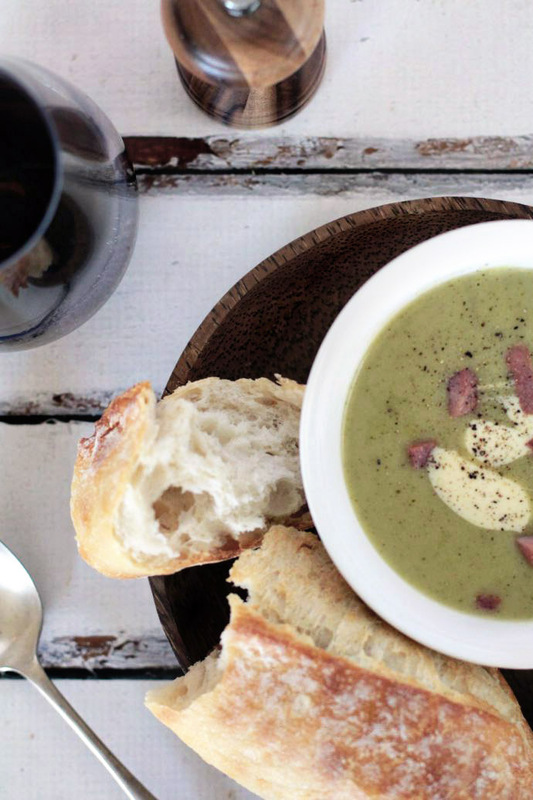 If you have a soup maker – you would now simply add your potato, broccoli, leek, stock, half of your ham and your pinch of sea salt together and follow your soup maker’s instructions. If you are doing it the good old fashioned way then you would add your potato, broccoli, leek, stock, half of your ham and your pinch of sea salt together in the saucepan and bring to the boil and then simmer for 10-15 minutes until all you veggies are soft and tender and then blend it with a stick blender until you have a smooth & creamy consistency. When you are ready to serve, sprinkle a little of the crispy ham over the top, add a dollop of cream and season with pepper. 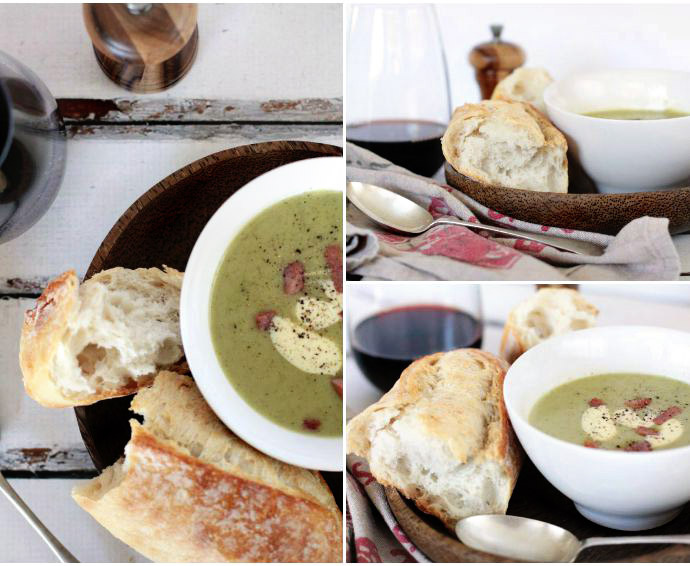 Serve with warm crusty sour dough and enjoy! As I mentioned earlier the July Coles Magazine is chocka block full of fresh delicious potato recipes this month including Sloppy Joes which is sure to be a hit with the kids for the name alone. Don’t forget you can of course always visit the Coles Feed Your Family hub for more recipe ideas and warm, comforting winter recipes. Have you told any Pork pies to your kids to con them *ahem* get them to eat certain foods? Come on, pull up a pew my friends and confess. Are you soup loves at your place?